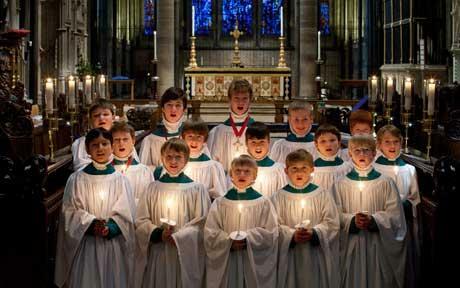 Which Churches Are Popular for Christmas Midnight Mass in Mumbai? Nestled on the west coast of India, Mumbai is the financial city of India that attracts millions of people every day from all parts of the country and from around the world. Life here is nothing less than a hectic race to the finish and unforgiving so probably there is no space here for those who are disappointed by the stream of bad luck. The only thing that Mumbai teaches you is to get up after you are knocked down by the fist of fate. The interesting part of the city is that every single festival is celebrated here with same enthusiasm and joy and Mumbaikars take part in every festival that they get to celebrate here which acts as a momentarily pause from a stressful lifestyle. Christianity is a minority religion in Maharashtra and in Mumbai, but that does not ruin the spirit of Christmas at all as all people get together in this festival and celebrate it together. Attending midnight mass during Christmas Eve is an important part of the tradition and almost all churches in Mumbai are packed with Christ believers but there are few popular churches that witness large number of people that come here to pray and attend midnight mass that means so much to them. Here we take a quick look at the top 5 most popular churches for Christmas midnight mass in Mumbai. 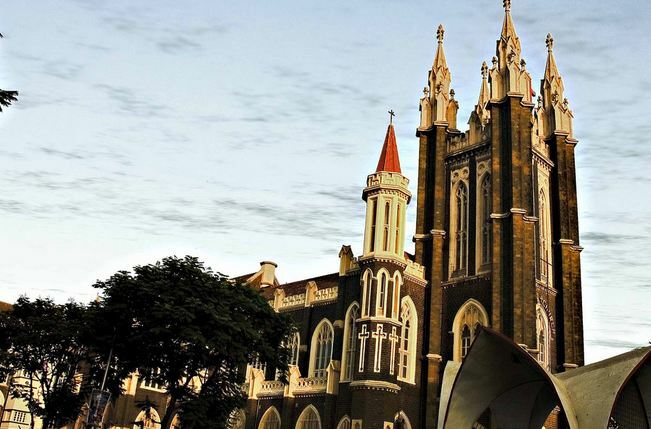 This English Gothic styled church still dominates the skyline of Byculla and dates back to 1548 when it was just a small chapel. Gloria Church of Byculla also known as Nossa Senhora de Gloria which means Our Lady of Gloria in Portuguese. 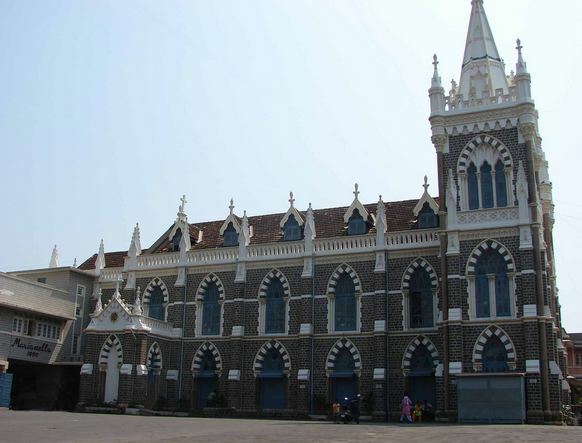 The church was initially funded by the DeSouza E’Lima family for Mazgaon Manor but the church structure was later shifted to the present location in Byculla in 1913 with some great architecture that speaks of the effort that has gone into making of this church. The shape of the church looks like a Latin Cross when you view it from the sky. It has 4 turrets that have a height of 160 feet and it has managed to capture the attention of those who want to capture the Gothic architecture here in Mumbai. This year the church also celebrated its 100th anniversary and therefore the church has been restored with the all the funds that it has received. This church definitely remains one of the most popular churches in the western suburbs of the city. The name itself suggests that the church is built on top of a hill that overlooks the ocean and also remains close to Bandra Bandstand. Also known as The Basilica of Our Lady of the Mount this Roman basilica attracts millions of visitors and followers from around the city and around the world as well. While the church is around century old the statue of Our Lady dates back to the 16th century when Jesuit priests brought it from Portugal and constructed a chapel here on the hill. Mount Mary Basilica also celebrates the feast of the Blessed Virgin Mary which is celebrated on the first Sunday after 8th September. However, it also attracts more people from the suburbs that come here for the midnight mass that usually starts at 11:30 in the night on Christmas Eve. If you are interested in going to midnight mass that is being attended by large number of people The Shrine of Don Bosco’s Madonna is the right place to be. 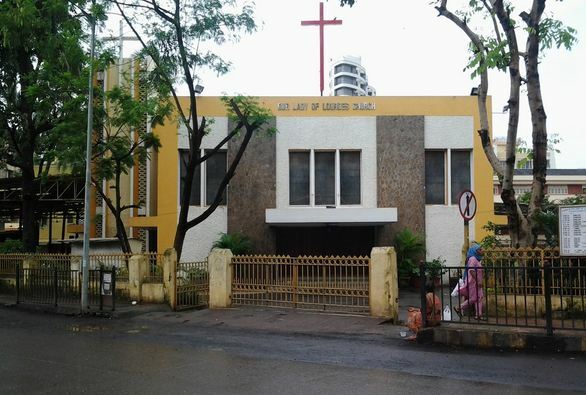 The church is located in the school campus of Don Bosco High School for Boys in Matunga which was inaugurated in 1942 but the church was built later in the year 1957 and has been one of the best architectural sights in the suburban area of the city. The Christmas Eve midnight mass here is conducted in the school playground and that offers lot of space to more people that can come here with their friends and family to attend the prayers. 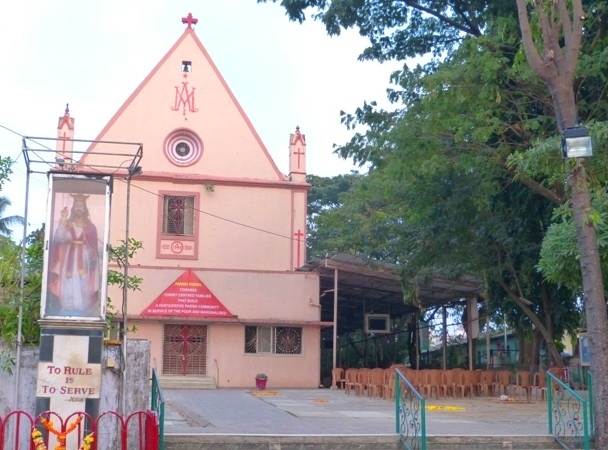 Orlem is a neighborhood in Malad that primarily engaged in fishing and agriculture and a large number of population here are Roman Catholics. It was in 1882 that a chapel was built and officially declared here. Orlem was later constituted as a parish in 1916 and The Our Lady of Lourdes Church came into existence. 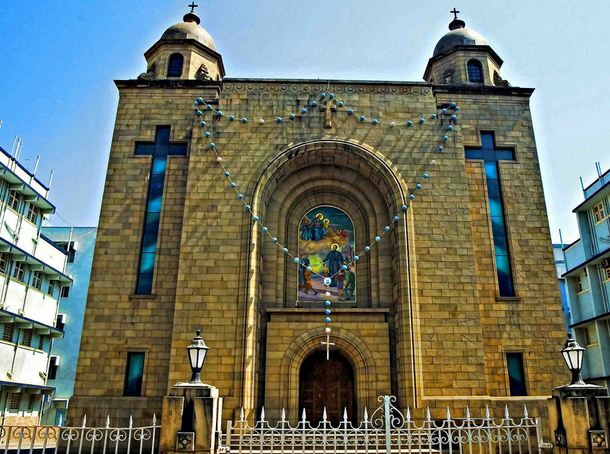 Also known as the Orlem Church or Our Lady of Malad this church has seen a huge rise in the number of Catholic population in the city. The church is also well associated with many other groups and organizations working for the betterment of the Christians and Roman Catholics in the area. If you are somewhere in the western suburbs of the city you can head towards Borivali where you will find Immaculate Conception Church also known as Our Lady of Immaculate Conception Church or IC Church or I.C. Colony Church. The church history dates back to 1547 when Father Antonio do Porto founded this church and was later joined by his companion Joao de Goa. The church was initially called Nossa Senhora da Piedade which means Our Lady of Piety in Portguese. However, with the growing number of parishioners the church was renamed to Immaculate Conception Church in 1630. The church also attracts large number of followers on December 8 which is known as the feast day while it also attracts thousands of people from north Mumbai that come here to attend the Christmas Eve midnight mass. Well, there are many churches in different parts of the city that do celebrated Christmas with the same amount of zeal and spirituality but if you are looking for a grand celebration these churches will offer you the experience that you won’t forget. Oh, before I end my blog post here let me keep you informed that if you are heading to any of these churches for midnight mass on Christmas Eve be there before time because it’s going to be jam packed. Where Will You Find the Best Wines in Maharashtra? What diversity there is even among the church architecture in India! All beautiful churches and the last one-so pink! I have always wanted to attend a midnight mass even though I am not Catholic. I spent a lot of time in Catholic churches as a teen because my best friends were. Another great post my friend. The last one (pink one) is the closest to my home. Just 30 minutes from my home. One of my best friends visit it regularly so I often visited this church with him. However, Mount Mary Basilica and Don Bosco’s Madonna are massive crowd-pullers.